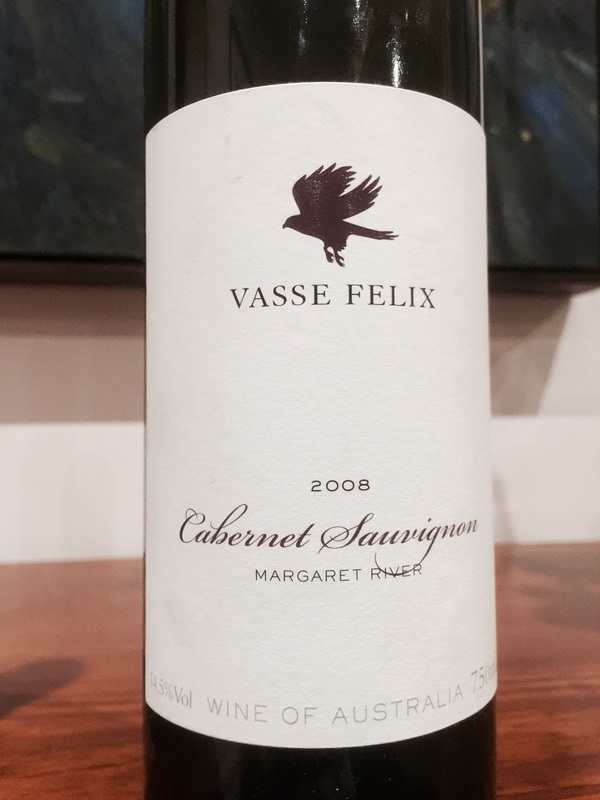 I don’t buy enough Margaret River cabernet sauvignon, and I was expecting the reliable Vasse Felix cabernet sauvignon to emphasise the point. The 2008 vintage tasted here didn’t quite do so. Stylistically, it resembled a style of Margaret River cabernet that I don’t in fact prefer. A few (and only a few I would emphasise) Margaret River cabernets, to my palate, can take on a char and boot polish character attributable I expect to a combination of oak maturation, cabernet sauvignon that is not completely ripe and the presentation of this single grape variety unblended, that I do not taste in Bordeaux, Coonawarra, Napa Valley or Yarra Valley examples, although many of these are of course blends. Am I alone in this observation? Whether or not for these reasons, the 2008 vintage of the Vasse Felix cabernet sauvignon presented along these lines. It has aromatics of clove, eucalyptus, boot polish, char and licorice. The palate is mature, the finish mid range and the wine pleasant enough. Holding on at eight years of age, it may not improve in the bottle from here. Good point – I couldn't see the 08 on their website, but I see for example the '09 has 8% malbec in it. Blending might not explain this wine then (although it is modest assuming the pattern more or less repeats). Next candidate: the oak!